Use these tips to create the perfect outdoor kitchen to prepare food, cook, dine, entertain, and so much more. Who wouldn’t want to extend their living space to the great outdoors? A dream outdoor kitchen does just that. 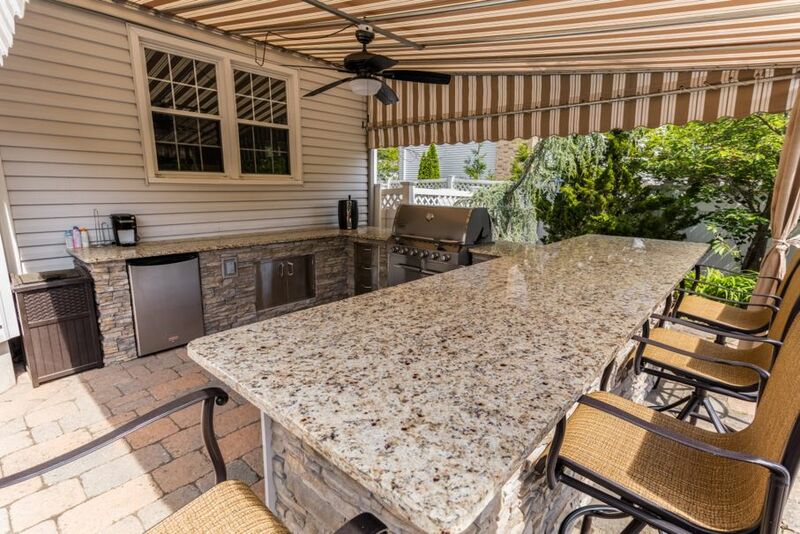 Whether you want to soak up the sun or entertain a crowd, an outdoor kitchen is a great addition to your backyard. 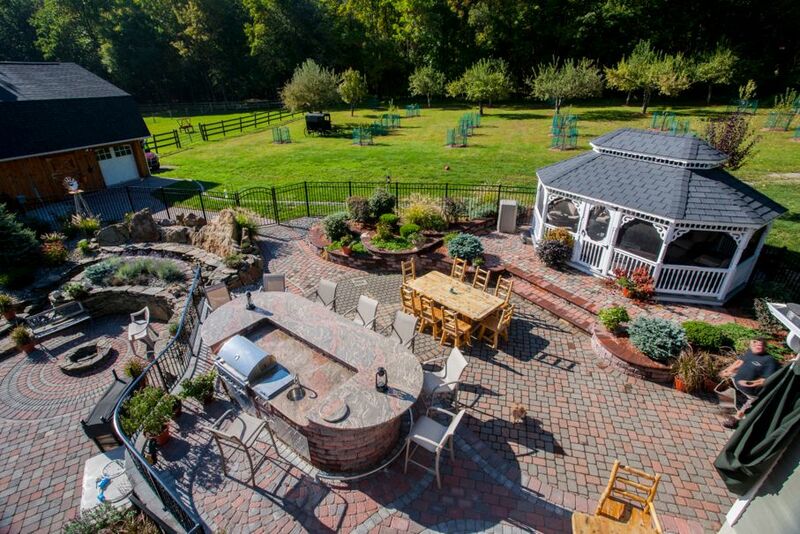 When creating your dream outdoor kitchen, here are some guidelines that you should consider. Before doing anything else, create a budget. Find out what your monetary constraints are to determine the best materials and extra features you can afford. Once you know how much money you have to work with, prioritize what’s most important to you. Spend your budget on the features that you really want to include. The outdoor kitchen layout should be similar to your indoor kitchen layout. Look at your kitchen. You’ll notice the space between hot zones (stovetop, grills, and smokers), cold zones (refrigerator, Kegerator, and icemaker), wet zones (sink), and dry zones (counter space for preparing food). You need to be mindful of how these zones work together. For example, you shouldn’t have your icemaker right next to your grill. While considering the zones, select the right layout shape for your kitchen. Some of the popular options are the L-shape, U-shape, and island layouts. As you select the right layout for the space, determine what activities you’ll be doing and what appliances you’ll need in your outdoor kitchen. For example, if you want to eat outside, add a bar with stools or a place for a table and chairs. The materials used should complement the exterior of your home, as well as, the landscaping. Think of your outdoor kitchen as an extension of your home. It should blend in with your house. Choose colors and textures that work with the space. The biggest difference between your indoor kitchen and outdoor kitchen is that the outdoor kitchen needs to be able to withstand severe weather conditions. The materials need to be durable but low maintenance. 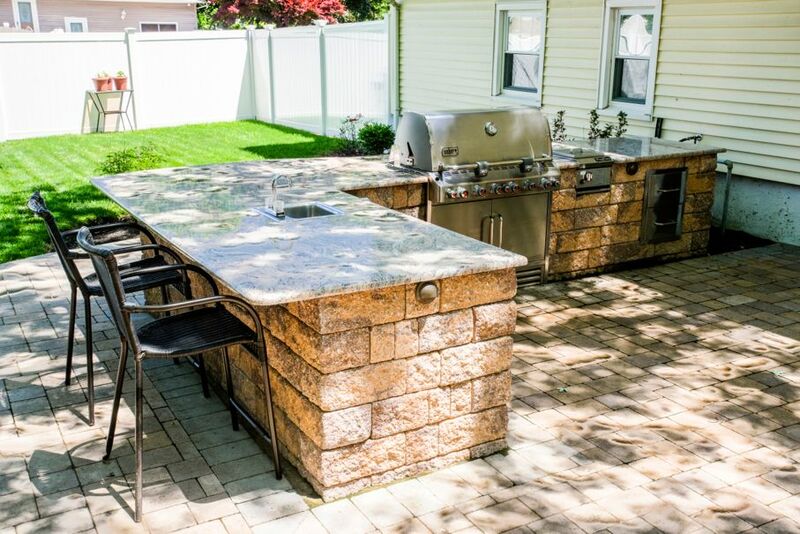 Some of the best materials for an outdoor kitchen are tile, natural stone, such as granite, stainless steel, and high-density polyethylene (HDPE). Look into these options as you pick out the counters, flooring, appliances, and other features. Lighting is important for nighttime use. Make sure that the lights are functional and visually appealing for ambiance. Check out solar-powered accent lighting, strings of light, tiki torches, candles, and more. On top of lighting, some of the other electrical aspects you could add include a sound system and electrical lines (or gas lines) for your appliances. If you don’t know how to add these on your own, it’s a good idea to contact an electrician. 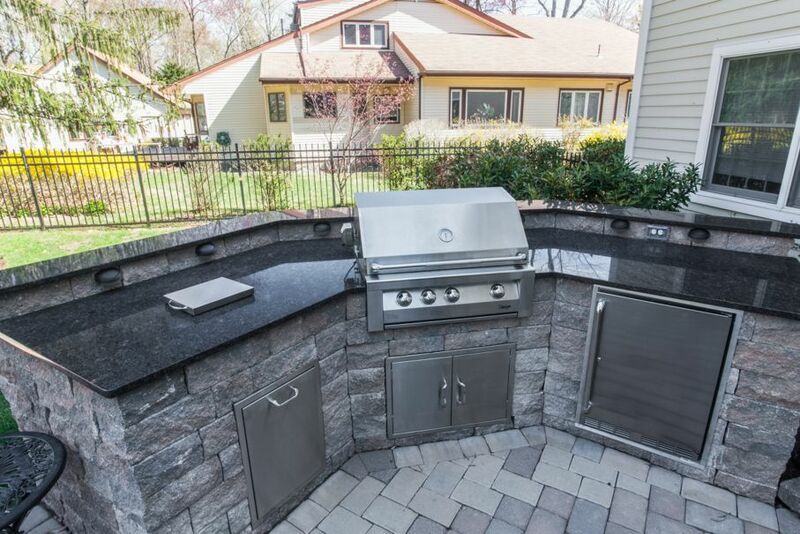 Your dream outdoor kitchen doesn’t end with your appliances and counter space. It probably includes a dining area, potted plants, garden décor, and more. Do you need extra shade? Plant trees or add an awning. Do you need extra warmth at night? Add a fire pit or heater. Look around your yard, and find ways to incorporate your outdoor kitchen design throughout the entire space. 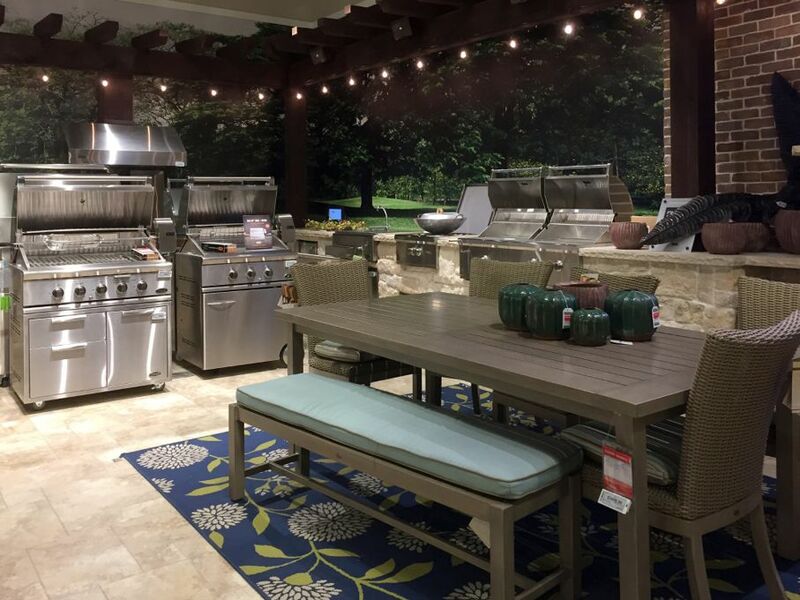 What does your dream outdoor kitchen look like? As you envision this space, think about these tips to create the perfect place to prepare food, cook, dine, entertain, and so much more.